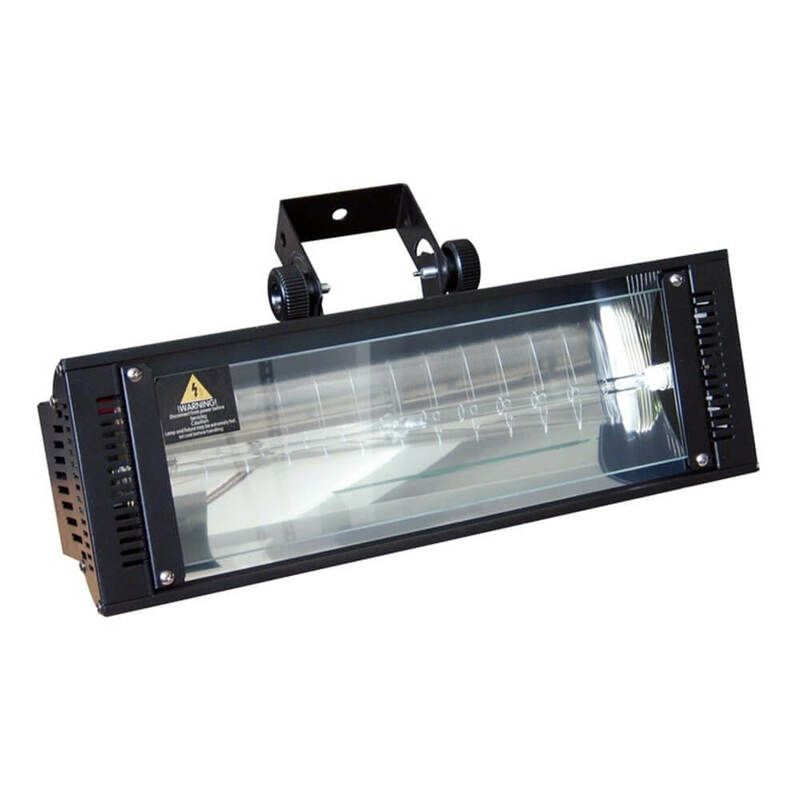 A powerful 1500W strobe light with Xenon discharge lamp. Both speed and output are adjustable from 0-100% via controls on the back of the unit. Optionally it can be controlled by a 0-10V analogue strobe controller and multiple Wildzap units can be linked in master/slave mode.